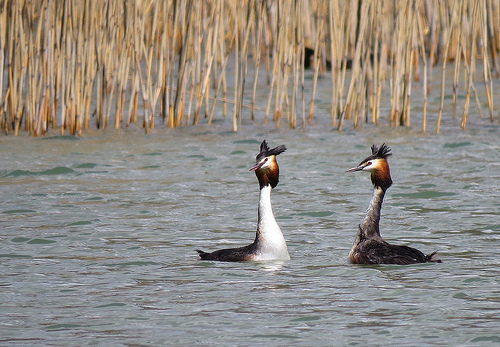 During the mating season, the pair of Great Crested Grebes perform a beautiful dance on the water. They imitate each other's movements exactly. 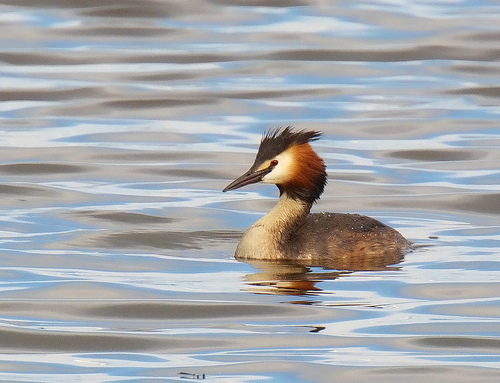 Grebes are not very shy and you often see them in parks, where they build their floating nest in a corner of a pond. The young, little white and black dots, crawl under the wings of their parents while swimming.